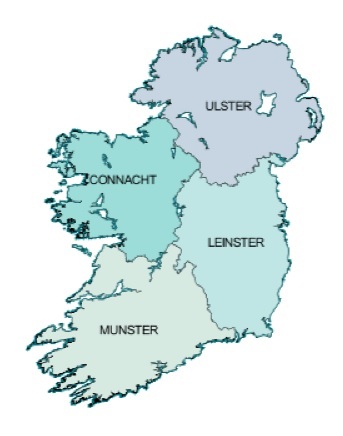 Everyone has at least a little Irish in their lineage, so you will want to review on free online site that covers all of Ireland (including Northern Ireland) with information from Catholic church parishes, especially of the 1700s into the 1800s. The source is the National Library of Ireland. It has registers containing records of baptisms and marriages from the majority of Catholic parishes in Ireland and Northern Ireland up to 1880. The starting dates of the registers vary from 1740 to 1750s in some city parishes in Dublin, Cork, Galway, Waterford and Limerick, to the 1780 to 1790s in counties such as Kildare, Wexford, Waterford and Kilkenny. Registers for parishes along the western seaboard do not generally begin until the 1850/60s. 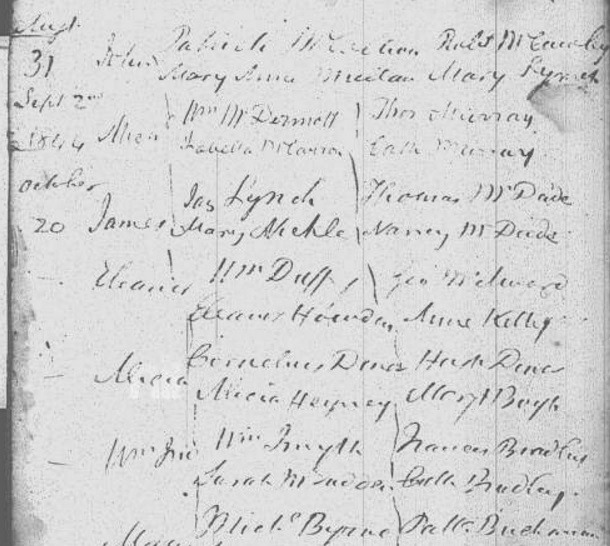 What a help that would be for your research if baptism and marriage records on ancestors from Ireland could be found. 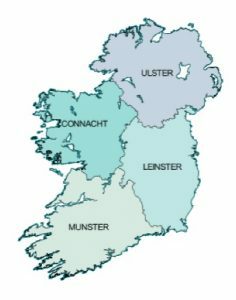 Note the map which shows the main divisions in Ireland. Select one if know or go to each.</span You will then see the names of counties, click on that then the names of dioceses. Get those names a selection of parishes and type it in the above search box. You will see a listing of baptism and marriages, the number available and the years. Use the arrow scroll down on the right to view each listing. Use the plus sign at the top to enlarge each image. Handwritten, some will be easy to read, others harder. For each page and to know the dates, look in the corner, upper left side. The icons on the upper right help sharpen, lighten the image plus you can download the image and make a print copy. This can be some very productive research for you. 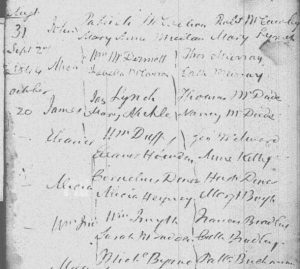 Photos: Irish Map and Marriages from Aug 31, 1844 to October 20, 1844 in All Saints-Diocese of Raphoe in County of Donegal.